I am the first sent in to danger, to keep you from harm. I am your eyes, nose and ears. I will protect and serve you. I will lay down my life for you and your fellow soldiers and expect nothing, but a kind word in return. Trust in me my friend for I am your comrade. I will protect you with my last breath, and will gladly take a bullet in your place. When all others have left you, and the loneliness of the night closes in, I will be at your side. I search for things that harm our communities; bombs, drugs, disease and evidence of crime. I search for the missing and victim of disasters. I will be right by your side, so that others may live. 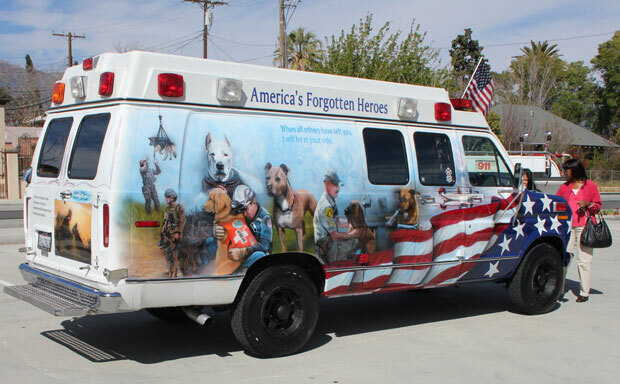 The America's Forgotten Heroes Tribute Vehicle was created to be a traveling museum to raise awareness and to honor the invaluable service, loyalty and sacrifices of our courageous four-footed heroes past and present. Our K9s fly to Veteran and Public events in a Vietnam War-Era Huey Helicopter to raise awareness and start the dialogue about the service and betrayal of America's War Dogs in Vietnam. 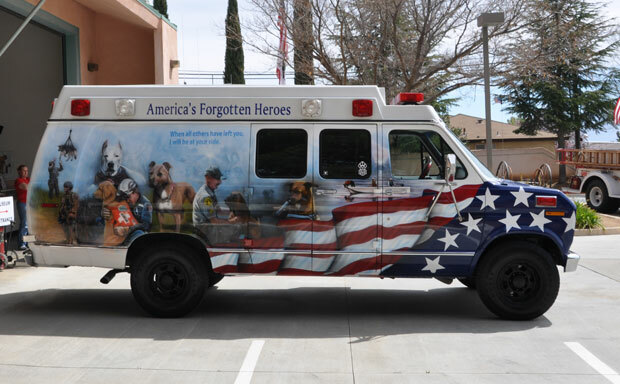 To train and provide detection dog services, disaster/emergency preparedness seminars and support, raise awareness about America’s working dogs, and provide canine safety and humane educational programs. Every year we coordinate a large War Dog Memorial Ceremony that honors the lives, the service and the sacrifices of America's military working dog handlers and the military working dogs who were killed-in-action while serving our country. Their duty was to serve. Our duty is to remember. 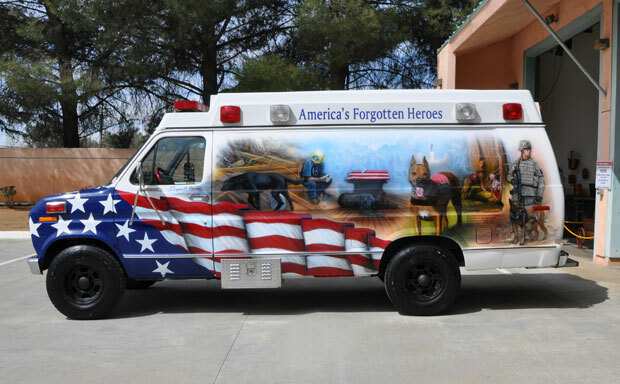 If you would like to help honor the loyalty, dedication and sacrifices of America's Forgotten Heroes, donate today!